Carnival Corp. reported fourth-quarter profits that beat Wall Street estimates as bookings and onboard spending improved on the beleaguered Carnival Cruise Lines brand. Non-GAAP fourth-quarter net income was $35 million, or 4 cents per share, compared to $111 million and 14 cents in the same period last year. 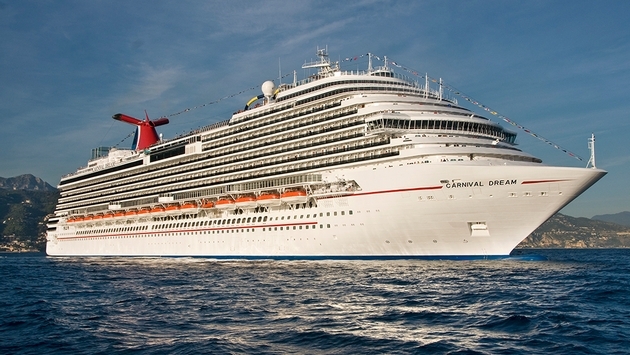 Carnival Corp. president and CEO Arnold Donald said fourth-quarter earnings were better than expected due primarily to higher cruise fares and onboard spending for Carnival Cruise Lines, which is still recovering from the February fire and loss of power on the Carnival Triumph. For the full year 2013, non-GAAP profit was $1.2 billion, or $1.58 per share, compared to net income of $1.5 billion, or $1.94 per share, for the prior year. The company said cumulative advance bookings for 2014 are behind the prior year at prices in line with prior-year levels. Since September, booking volumes for the first three quarters of 2014 are running well ahead of last year’s levels, albeit at lower prices. CFO David Bernstein said cost-savings are being realized by collaborating in areas such as ports, procurement and inventory management. As an example, Bernstein said the corporation, which includes 10 brands, was using more than 70 vendors for commercial printing. As for the recovery of the Carnival Cruise Lines brand, Arnold said companies generally take two to three years to rebound after a major disruption such as the Carnival Triumph incident. But thanks to the $25 million advertising campaign launched in September, Carnival is experiencing “accelerated recovery,” he said.